Too many patients at Alamata Hospital in rural Ethiopia were experiencing post-surgery infections. Berihun Adhane, an emergency surgical officer, wanted to know why. Working with Alamata’s surgical team, he devised and deployed a plan to make surgeries safer and more successful for the hundreds of patients they see each year. “We have motivated leadership and a good surgical team, and we set clear monthly action plans to meet our safe surgery goals,” Berihun says. Their efforts were catalyzed during a five-day leadership course through the Safe Surgery 2020 (SS2020) Initiative, funded by the GE Foundation. 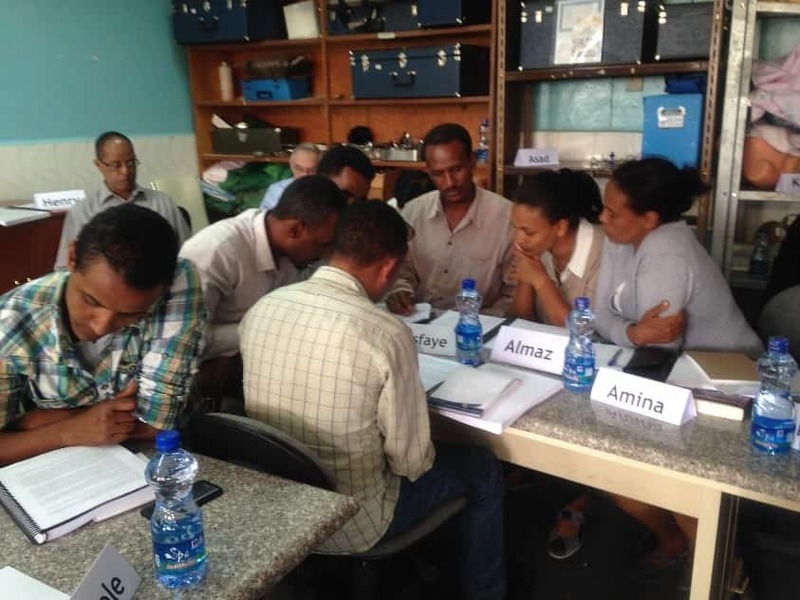 A core component of Ethiopia’s first-ever national surgical plan—Saving Lives through Safe Surgery —SS2020 training focuses on building leadership capacity of the entire surgical staff, from nurses and anesthetists to surgeons and hospital management. Its focus: to strengthen performance across surgical practice as opposed to addressing each specific procedure separately. With support from the Government of Ethiopia, similar efforts to reduce surgery-related deaths are underway in 10 hospitals across the country. Alamata’s surgical team not only assumed a higher caseload but also reduced surgery-related deaths by one-third in 6 months. Here are the steps they took to achieve such impressive results. Berihun and the surgical team—including anesthetists and nurses in addition to surgeons and surgical officers—attended Safe Surgery 2020 leadership training facilitated by Jhpiego, the Federal Ministry of Health and the Surgical Society of Ethiopia; and supported by the GE Foundation. They learned how to best identify and tackle administrative and system problems related to performing surgery, and also developed an action plan to reduce infections and make surgeries safer at Alamata. Early on, Berihun realized that support from hospital management was critical to make and sustain improvements. He mobilized two key decision-makers—Dr. Kumneger Hunegnaw, the team’s most senior surgeon, and Alamata Hospital CEO Teame Aredom—to help implement change. Surgical mentors from larger, regional hospitals identified by the Safe Surgery 2020 Initiative provided technical support and served as advocates for the Alamata team at the regional health bureau. 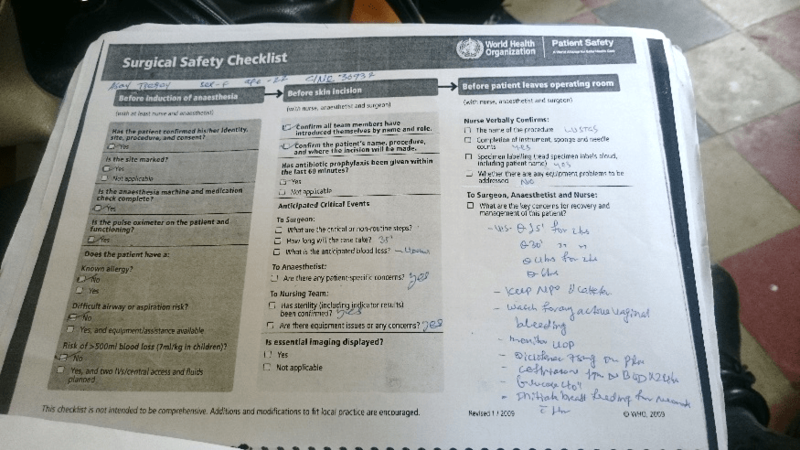 Berihun credits the World Health Organization (WHO) Surgical Safety Checklist as foundational to Alamata Hospital’s surgical improvement. The team assigned the nurse-on-duty to take charge of the checklist before, during and after every surgery, ensuring that each step was followed. Dr. Kumneger and the surgical team review checklist implementation and discuss opportunities for improvement during morning rounds. Their motto—“No Surgery without the Surgical Safety Checklist”—helped change attitudes in the operating room or theater. Surgical providers, anesthetists and nurses began working together to ensure each step was followed. “The patient is always at the center of everything, and surgery is about teamwork,” Dr. Kumneger says. Alamata Hospital had too few recovery beds for surgical patients prior to the implementation of SS2020. With the support of the hospital CEO and nursing leadership, the team tripled the number of recovery beds from two to six. 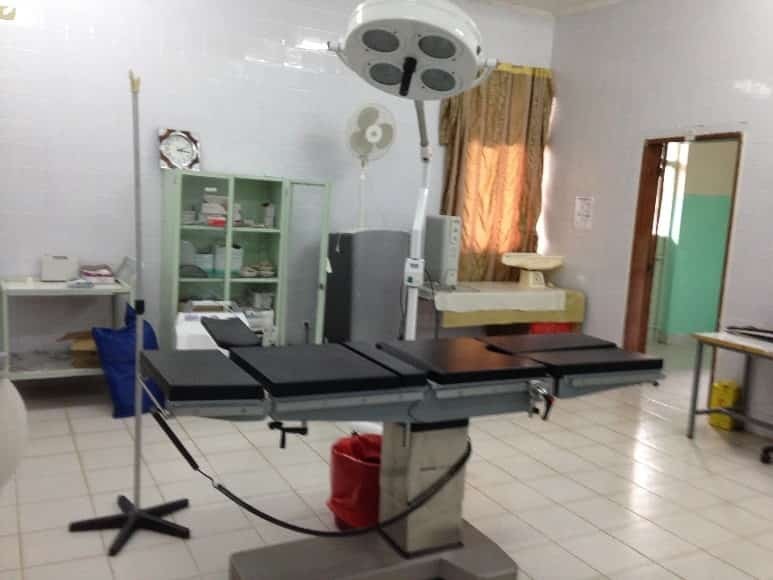 They also furnished the recovery room with essential equipment and supplies to eliminate the need to transfer surgical patients to other wards. As a result of SS2020, postoperative patients today are transferred from Alamata’s expanded and improved recovery room fully awake and accompanied by a health professional. Berihun’s team brainstormed ways to reduce post-surgery infections. They identified a big potential issue: too much nonessential travel through the OR. They made small renovations—notably blocking one of the corridors leading into the OR, which helped eliminate thoroughfare traffic and ensure that only those who had a role in the surgery would be allowed entry. And they acquired a new, larger autoclave purchased by the Tigray Regional Health Bureau. This improvement, together with the use of the WHO surgical safety checklist, reduced surgical site infections by half over the following year. By tackling case evaluation procedures and staffing issues, the Alamata team alleviated its surgery patient backlog and solved the issue of a high surgery cancellation rate that is common in hospitals across the region. The average backlog regionally is up to six months for general surgery and exceeds two years for orthopedic surgery. Alamata has none, having increased its staff to help meticulously screen clients in the outpatient department. Today, the surgical team holds regular discussions to manage their caseload. It performs elective surgeries twice a week—around 16 cases. On those two days, a separate OR is reserved for emergencies. This surgical team’s dedication and communication combined with the senior surgeons’ leadership and mentoring, means patients at Alamata Hospital now are assured of safe and timely surgical care. With its holistic approach to improve surgical outcomes, a WHO-approved checklist and health providers newly empowered with the leadership skills to confidently make the decisions to drive system-wide change and improve care, Alamata Hospital is a model for the future of safe surgery in Ethiopia and throughout the world. Teruwork Gultie is a senior operating room nurse and senior program officer in Jhpiego’s Ethiopia office; Abraham Mengistu (MD, MPH) serves as the SS2020 project manager; and Alena Skeels is a Technical Development Officer in Jhpiego’s Innovations Unit. Digital media specialist Cole Bingham also contributed to this article.